The 1.5 m elastic hose ensures comfort of use and the automatic water switch makes the water flowing from the tap automatically switch to the sanitary device (only combined with Dafi heater). Small single-phase Dafi Water Heater 3.7 kW 230 V with chromium-colored plastic monobloc. Suitable for small sinks and washing hands. 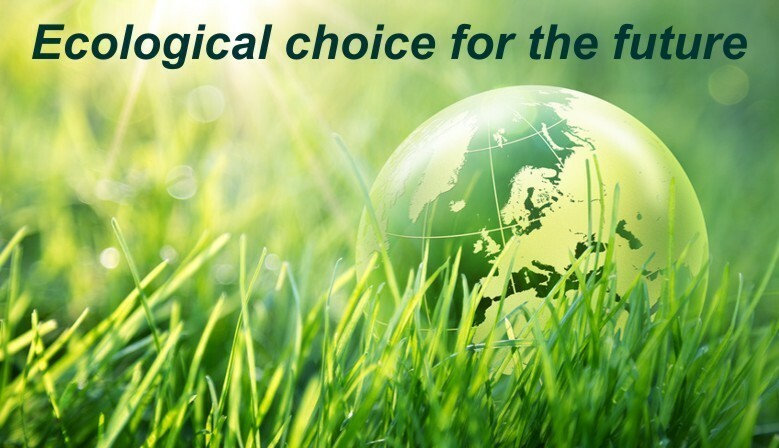 Water heater can be installed only with the supplied battery and spout. Water heater DAFI 4.5 kW 230 V (single phase) with metal monobloc 180 mm Suitable for sinks and washbasins in the bathroom. 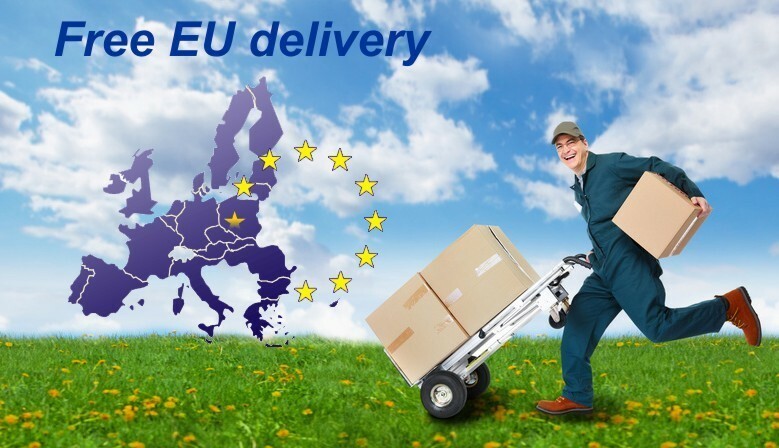 Water heater can be installed only with the supplied battery and spout. Water heater DAFI 5.5 kW 230 V (single phase) without monobloc (heating system only) Dafi water heater adapted kitchen sink. 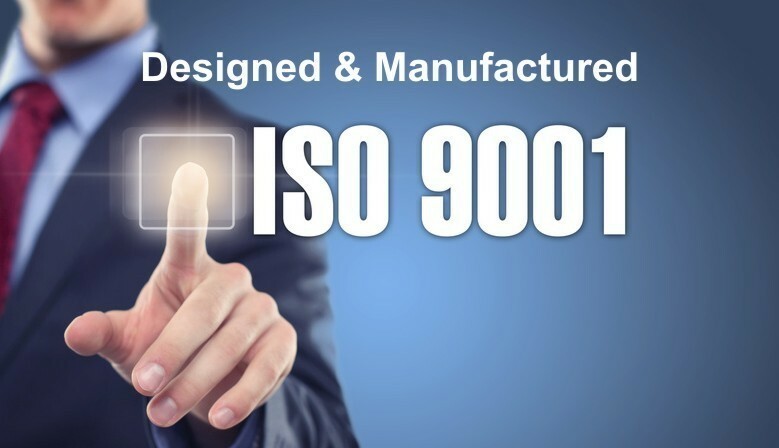 Unlike other water heaters, installing the DAFI water heater at any angle does not adversely impact its performance, and it does not damage the heating element. 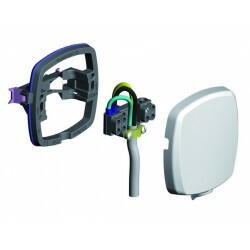 Chromium-colored complete shower is designed for use with Dafi flow heaters. 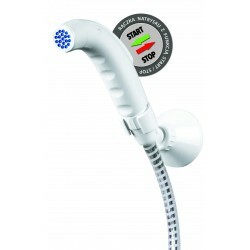 The special shower head construction reduces the water flow and as a result, the water is warmer. 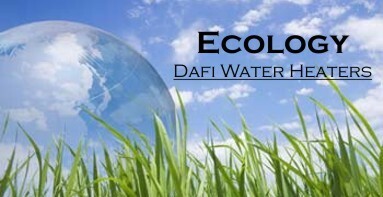 Aerator for the running spout monobloc for Dafi flow water heaters. This special aerator maintains the water stream. 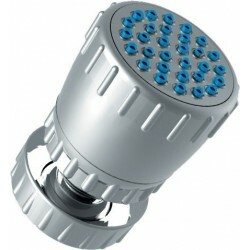 This aerator used at the end of the running spout reduces the use of water and electricity. Cleaning: push any debris out by pushing in the soft protrusions. 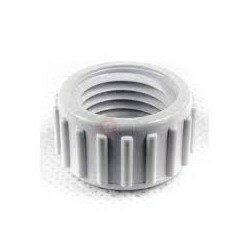 This aerator is an original product by Formaster, the manufacturer of the heater. Small single-phase Dafi Water Heater 3.7 kW 230 V with pipe connector ½ ". 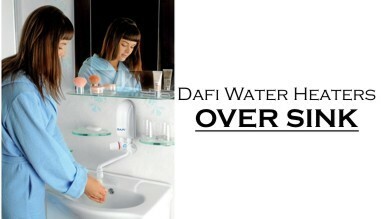 Dafi water heater suitable for a small sink and a hand washing. 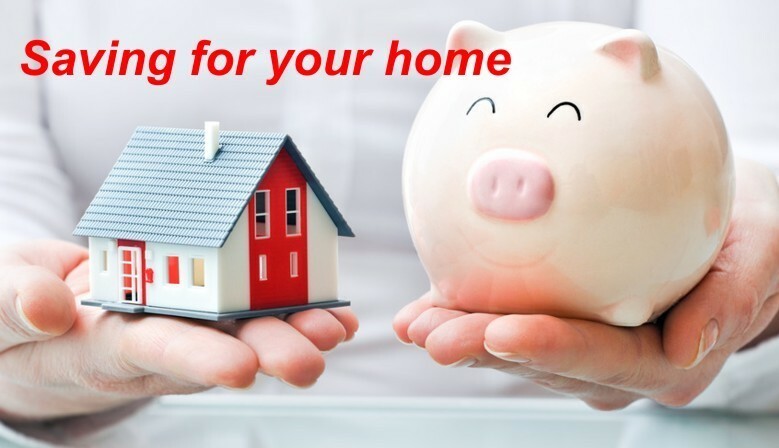 Unlike other water heaters, installing the DAFI water heater at any angle does not adversely impact its performance, and it does not damage the heating element. 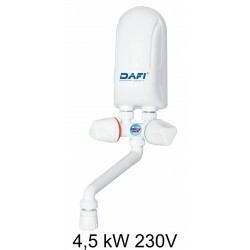 Small single-phase Dafi Water Heater 4.5 kW 230 V with pipe connector ½ ". Dafi water heater suitable sink for bathroom. 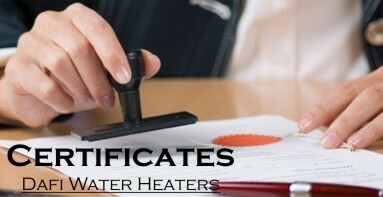 Unlike other water heaters, installing the DAFI water heater at any angle does not adversely impact its performance, and it does not damage the heating element. Small single-phase Dafi Water Heater 5.5 kW 230 V with pipe connector ½ ". 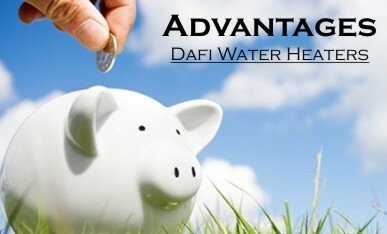 Dafi water heater adapted kitchen sink. 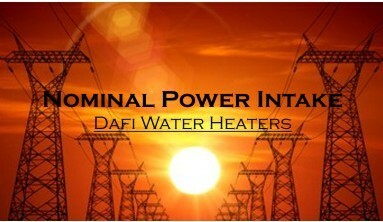 Unlike other water heaters, installing the DAFI water heater at any angle does not adversely impact its performance, and it does not damage the heating element. Small single-phase Dafi Water Heater 7.3 kW 230 V with pipe connector ½ ". 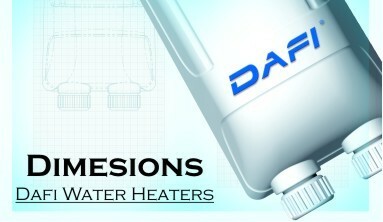 Dafi water heater suitable for shower and sink / shower together. 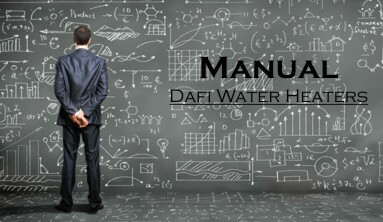 Unlike other water heaters, installing the DAFI water heater at any angle does not adversely impact its performance, and it does not damage the heating element. Small biphase Dafi Water Heater 11 kW 400 V with pipe connector ½ ".Dafi water heater suitable for bath and sink / tub combinations. 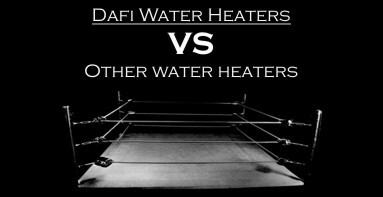 Unlike other water heaters, installing the DAFI water heater at any angle does not adversely impact its performance, and it does not damage the heating element. 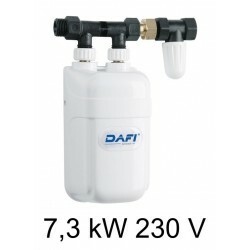 Small single-phase Dafi Water Heater 3.7 kW 230 V with plastic tap set. Suitable for small sinks and washing hands. 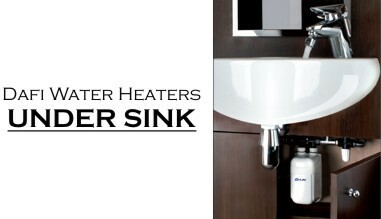 Water heater can be installed only with the supplied battery and spout. Small single-phase Dafi Water Heater 4.5 kW 230 V with plastic tap set. Suitable for sinks and washbasins in the bathroom. Water heater can be installed only with the supplied battery and spout. 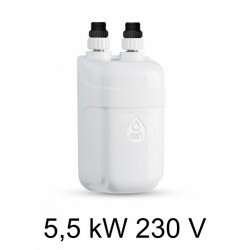 Small single-phase Dafi Water Heater 5.5 kW 230 V with plastic tap set. Suitable so large sinks in the kitchen. Water heater can be installed only with the supplied battery and spout. 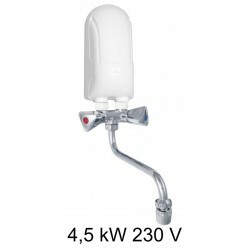 Small single-phase Dafi Water Heater 4.5 kW 230 V with chromium-colored plastic monobloc. Suitable for sinks and washbasins in the bathroom. Water heater can be installed only with the supplied battery and spout. 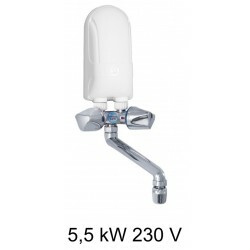 Small single-phase Dafi Water Heater 5.5 kW 230 V with chromium-colored plastic monobloc. Suitable so large sinks in the kitchen. 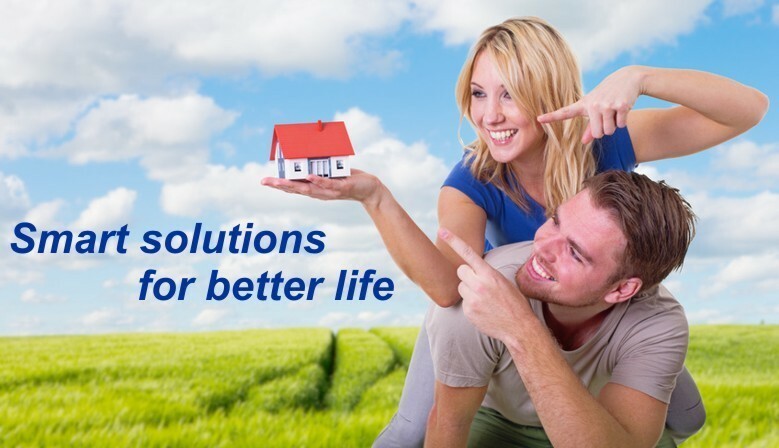 Water heater can be installed only with the supplied battery and spout. Water heater DAFI 3.7 kW 230 V (single phase) with metal monobloc 135 mm Suitable for small sinks and washing hands. Water heater can be installed only with the supplied battery and spout. Water heater DAFI 5.5 kW 230 V (single phase) with metal monobloc 180 mm Suitable so large sinks in the kitchen. Water heater can be installed only with the supplied battery and spout.